Riley: My style has always been vintage. This top is from the lingerie section of The Salvation Army. My mother inspires me. She's the most womanly woman I know. She would never leave the house in anything less than lipstick and a pair of pumps and I think I just took everything from her -- especially now that I'm grown up. Lipstick is like my weapon (laughs). TorontoVerve: What are you most happiest about this year? Riley: I've been working on this startup company all year and we just incorporated. It's a film company based in Nova Scotia and we're going to produce the kind of projects that's going to put Nova Scotia on the map. I'm so over-the-moon excited about it. TorontoVerve: You moved to Halifax from Toronto. What has the transition been like for you? Riley: It's hard to go from a big city to a small centre. You lose the diversity and energy, but you really have to figure how to create it on your own. You can either fade into the background and decide it's a small town, I should just stay home and watch Netflix, or you can just go out and make crazy waves. I feel like I've done more things in the past year in a big way than I would have done in Toronto in the next five years. 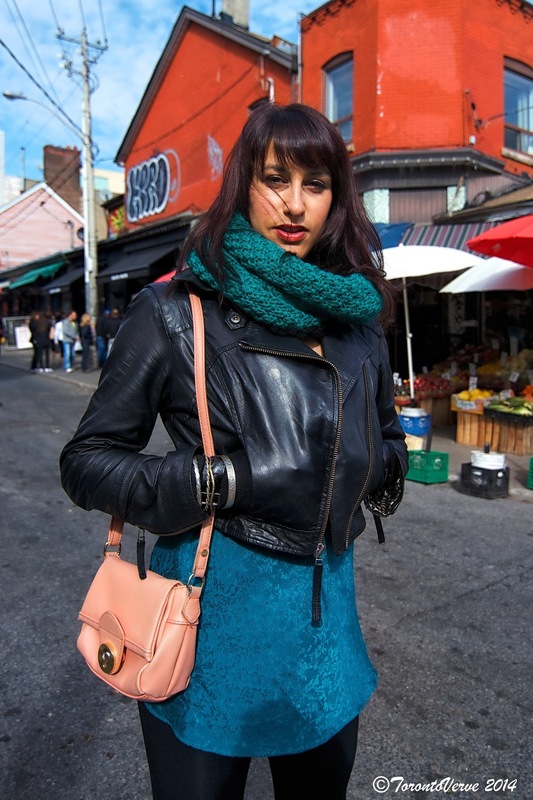 TorontoVerve: How would you describe the street style in Halifax? Riley: There's not much street style in Halifax, but when there is, people are so ambitious about it and they're completely unapologetic. They do not care. They would just throw it all out there and I have to admire them for that. Riley's vintage street style previously appeared on TorontoVerve two years ago.